Initial form when creating a new import. Asks for name and purpose. 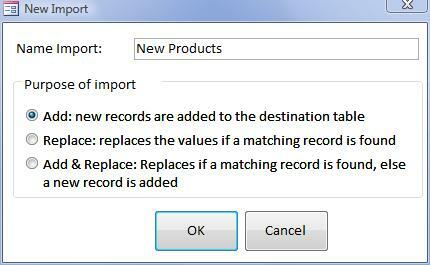 To start a new Import definition, press the New Import button on the Import and Validate form. After name and purpose have been specified and OK, the Source tab appears.